The UBC Equity and Inclusion office, along with AMS Resource Groups, hosted a Centennial open house yesterday to celebrate student-led social justice activism on campus. The event, hosted at the Nest, featured various sessions ranging from a showcase of resource groups to talks on student activism. “The idea was to look out for stories of struggles from students, staff and faculty perspectives and we won a grant [for the event]. One of our goals was to go to AMS Resource Groups because they do such important work across campus,” said Rachael Sullivan, Equity and Inclusion educator, noting that this is the first time that the resource groups are in a new space. “I think it’s an invitation for folks who haven’t had the opportunity to see the new resource group area in the Nest,” she said. 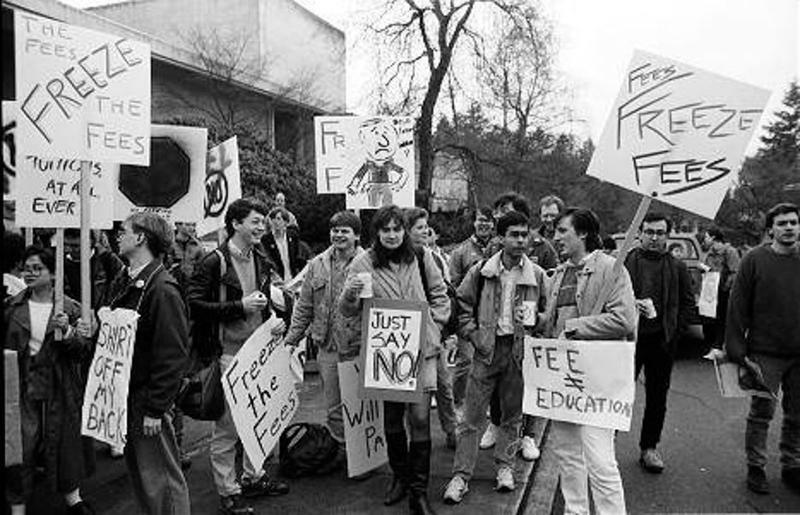 AMS Resource Groups have been involved in the university’s history of student-led social activism since the opening of Point Grey campus. Some of the more well-known events are protests of tuition hikes in the 1960s and 2014, the launch of an LGBT club in 1970s, proposal of UPass by Student Environmental Centre SEC in 2005 and offering a Women Studies program that originated from a lecture series by the Women’s Centre. According to their event page, the goal for the event is to bring together the Resource Groups and UBC community, as well as to think about previous and present efforts to bring change to this campus. “The purpose of this event is also to present all the resources that are available in case you ever want to implement an initiative or find people to work forward with for a common cause,” explained Athena Huynh, co-chair of SEC. Another aspect of the event that Sullivan mentioned is encouraging students to become part of a community building initiative, since she believes that at a large institution things tend to happen in pockets and such an event means a network can be formed across a large group of students.